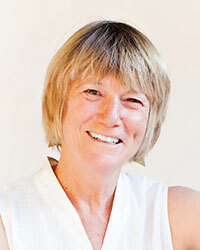 Sally Armstrong began practicing Vipassana Meditation in India in 1981. She spent five years in England, where she managed a retreat center and was a founding member of the Sharpham meditation community. When she moved to California in 1988, she continued her dharma service at Spirit Rock Meditation Center in a number of roles, including executive director. Sally began teaching in 1996, and is a Co-Guiding teacher. To listen to Sally's talks, visit DharmaSeed.org.